The ongoing development of such systems, including their integration and adaptation to modern software environments, puts them to the forefront in scientific computing and enables the practical solution of many complex applied problems in the domains of natural sciences and engineering. 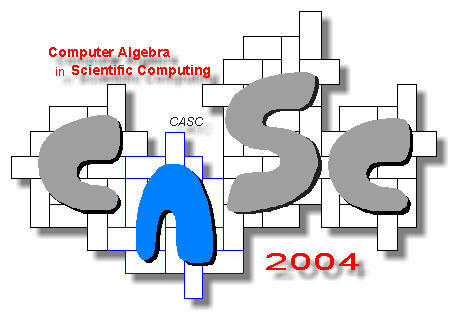 The workshop is intended to provide a forum for researchers and engineers in the fields of mathematics, computer science, numerical analysis, industry, etc. An important goal of the workshop is to bring together all these specialists for the purpose of fostering progress on current questions and problems in advanced scientific computing. At the moment, citizens of many countries need a visa to enter Russia. There are many tourist agencies in every country readily selling tourist visas to Russia. There is also a possibility to obtain your visa invitation via Euler Institute. Please note that it may take some time to obtain a visa. Thus, we strongly recommend that you apply at least 1.5 – 2 months in advance. If you would like to have your visa invitation processed by the Euler Institute (a document to be presented at a Russia Consulate), please read the instructions below. There are two kinds of visas you may wish to apply for. A tourist visa is quicker to make. However, we heard that some travel grants do not reimburse for tourist visas. In this case you will definitely need a business visa. if you have not done so. Ministry of Internal Affairs for your Invitation to visit Russia. tourist visa) an invitation is issued. invitation. In this case we post it to you). visa form and apply for a Russian visa.